It is no surprise that my own four children are picture book lovers. When a package arrives in the mail, they gather around me hoping that within in it will be a book for us to read together. If there is, we take the books, sit on the floor and read them right away. They fight me over which books stay at home and which go to my classroom. They have stacks by their beds, they have stacks in the car, they have stacks in the living room. We are surrounded by books, but even though we own many, we still love our beautiful public library. We visit once a week or so and always leave with a stack of books, eager to explore these newfound treasures. So I am delighted to showcase a list of must read picture books that celebrate books and libraries. 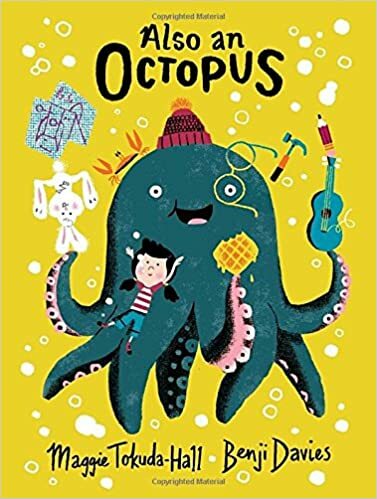 Also an Octopus by Maggie Tokuda-Hall and illustrated by Benji Davis is perfect for thinking of how we craft stories and the elements we need. The illustrations are playful and the story itself is informational and whimsical. 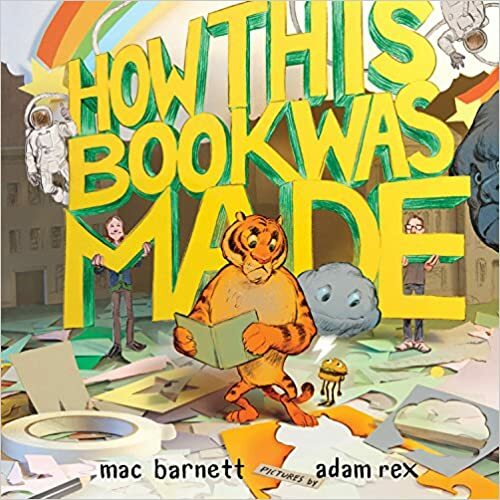 I wonder how many Mac Barnett books I have featured on this blog, his latest How This Book Was Made illustrated by Adam Rex is perfect for discussing writer’s and illustrator’s process. I am so thankful for their genius. 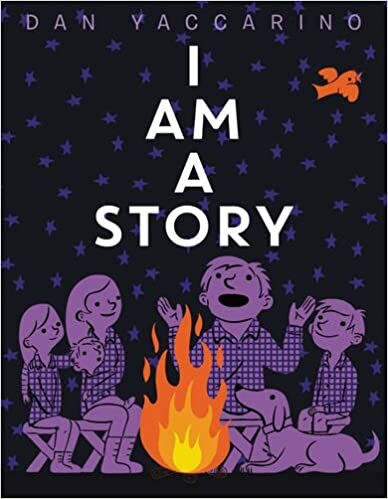 I love how I Am A Story by Dan Yaccarino urges us to think of how far stories have travelled and how they shape our society. I love the illustrations paired with the unfolding of story, fantastic for setting up writer’s workshop at any age. This Is My Book! 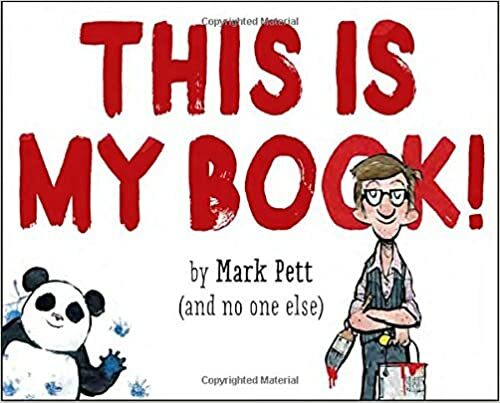 by Mark Pett (and no one else) is laugh out loud funny. I especially enjoyed the interplay between the author and the panda. Kids are sure to appreciate the message but also how well it is portrayed; who really creates the story and how can we co-create? How about a picture books that actually explains the features of a picture book? 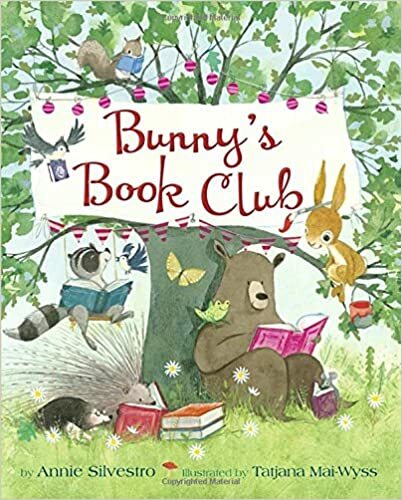 Parsley Rabbit’s Book about Books by Frances Watts and David Legge does just that and does it so very well. While this definitely belongs in the hands of younger children, I plan to show it to my 7th graders too as a way to prompt discussion on creative ideas. Laura Numeroff is a beloved author in our house so we were delighted to receive Beatrice Doesn’t Want To, a book that is all about a little dog that does not want to go to the library, nor read any books. I laughed when I thought of how I have seen this play out in my own life. I love that Toni Morrison and Slade Morrison wrote Please, Louise because it illustrates so beautifully how much a trip to the library can change your life. It truly turns any boring day into one filled with adventure. Another great book to illustrate what a library does and what it can do for you is Library Day written by Anne Rockwell and illustrated by Lizzy Rockwell. This whimsical tale of a card that doesn’t know its place in the world until it is revealed it is a library card is a wonderful way to celebrate not just the magic of libraries, but also about figuring yourself out and how you can make others happy. I have a copy of A Big Surprise for Library Card by Charise Mericle Harper and illustrated by Anna Raff both at home and in my classroom because it deserves to be read by many ages. I read The Fantastic Flying Books of Mr. Morris Lessmore by William Joyce aloud every year and every year I get little choked up. It is an incredibly beautiful story and metaphor for life. It is also a great picture book to use for theme and inference. Another incredible picture book that can be used to discuss metaphors and inference is The Incredible Book Eating Boy by Oliver Jeffers. This book is fun to read aloud and makes students think about the power of a great book. The Whisper by Pamela Zagarenski is beautiful both in text and in the illustrations. Using a book whose words fall out as a way to discuss imagination is a marvelous way to get students thinking more creatively. I don’t know how it took me 9 years to discover the story of Library Lion by Michelle Knudson and illustrated by Kevin Hawkes. The story of a lion who doesn’t quite know to fit into the library yet so wants to be a part of the book community is one that is sure to resonate with many of our readers. I read It’s a Book by Lane Smith every year to my students and it never fails; they always laugh out loud. What a great way to start discussing why we read and what books can do for us. While The Lonely Book by Kate Bernheimer and illustrated by Chris Sheban is the story of a book that sits forgotten, the theme of this story is so powerful for students. 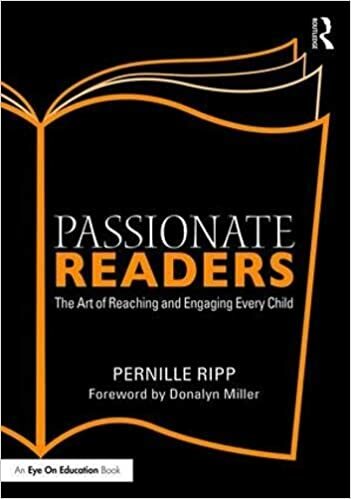 This book also leads to great conversations about which books we carry in our hearts long after we read the, this is therefore a great book to start your book community with. How many times has a child told us they hate reading and there is nothing we can do that will change their mind? Miss Brooks Loves Books (And I Don’t) by Barbara Bottner and illustrated by Michael Emberley is for all of those kids and the teachers who refuse to give up. I have been a loud Kate Messner fan since she was a Global Read Aloud author several years ago. I was therefore thrilled to use one of her latest picture books How to Read A Story with my 7th graders this year as we started to lay the foundation for our reading community. How to read a story in our classroom was a great conversation to start the year. A book I have been meaning to re-purchase is The Librarian of Basra – A True Story from Iraq by Jeanette Winter. My students could not believe the story when I read it aloud and it worked as perfect spring-board into a discussion of the war in Iraq and what it means to live in a country at war. This post could feature another 20 books at least but I would rather hear from you. What are your favorite books about books and libraries? If you would like to see more of our favorite books, please go here. Previous postAre We Creating Writing Communities? Read All About It! by Laura Bush and Jenna Bush is a great book about what great places libraries are! 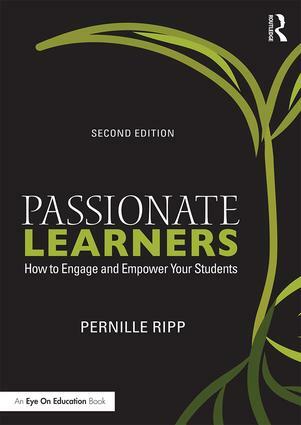 I also use them to discuss passion as a means to introduce Genius Hour. I love That Book Woman. I’ve just discovered your incredible website, Pernille…scrolling back through previous posts, I was thrilled to find this one…especially since it is National Library Card Sign up Month. I’m going to share your url on my blog post today…I’ve reviewed another wonderful book on libraries: Miss Moore Thought Otherwise. It was fascinating to learn that kids were not allowed into libraries…and when they finally were, they weren’t allowed to touch the books. When I was still actively selling children’s books, it was easier to keep up with the new ones. Most you mentioned here are new to me. I do like Aliki’s How a Book is Made, even though the publishing industry has probably changed a bit since it was first published.